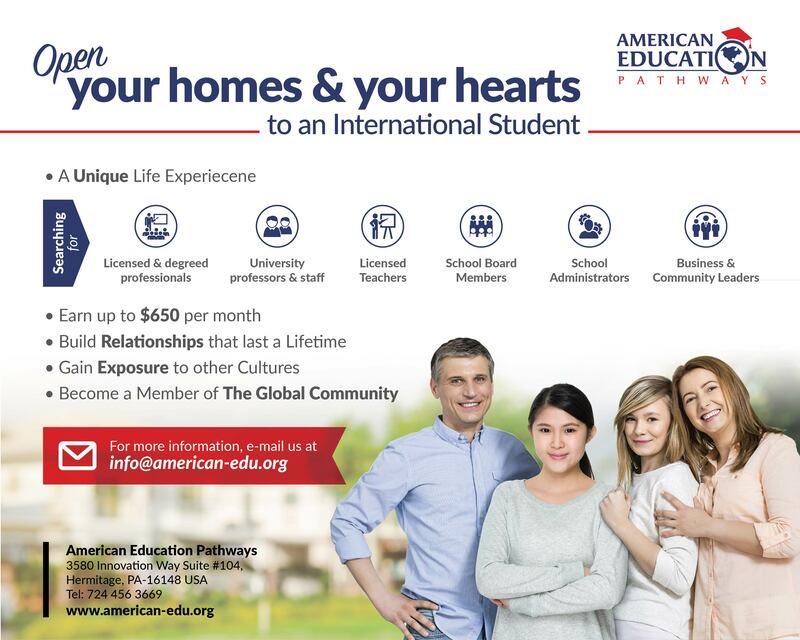 Open your home and your hearts to an international student and become a Homestay Parent. American Education Pathways is looking to bring international students to the Sharpsville Area School District. * Earn $650 a month. For more information on this life-enhancing experience call our Homestay Coordinator, Rhonda Koborie at 724-718-6768 or 724-342-6742.